A case of attempted murder was thrown out of court on Tuesday after the perpetrator’s alleged victim failed to testify. 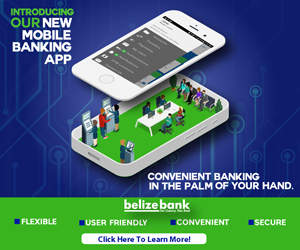 According to court reports, after deferring the matter seven times, this week Magistrate Harry Hulett was forced to dismiss the case against nineteen-year-old Maurice Felix of Sanker Street in Belize City. In December 2003 Felix was charged with attempted murder and grievous harm in connection with an incident on Christmas Eve. At that time, the victim, David Wade, told police that while standing at the corner of Pelican Street and Central American Boulevard, Felix had walked up to him, pulled out a handgun and fired. The single shot ripped through Wade’s arm and into his chest and sent him to the hospital for two weeks. But since then, Wade has indicated to authorities that he is no longer interested in pursuing Felix for the crimes and has refused to testify against him. However, Felix’s relief may be short-lived as tonight we understand that the young man is scheduled to appear in the Supreme Court in October to answer to more serious charge of murder.